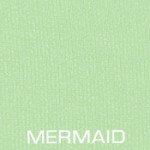 Click the button below to add the Metro Top - Final Sale - Mermaid to your wish list. As seen on the cover of Yoga Journal and leading yoga dvds, the Metro Top’s adjustable gather double-layer bra provides extra comfort with a contour feminine shape. The freedom of full movement while maintaining coverage makes it ideal for yoga and pilates.